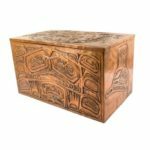 Holabird Western Americana Collections is presenting a fun and fantastic auction over three days April 28th to 30th, 2017. Over 1700 lots are spread over the three sessions with an incredible array of items from mining, minerals, gold , numismatics, railroad, Western Americana, and Cowboy & Indian collectibles. All sessions start at 8AM Pacific time each day with brisk live bidding and absentee bidding available right up until the auction kicks off. a.	Miners Candlesticks. About 300 different. This is easily the finest public offering of uniquely American historic miners candlesticks in history. 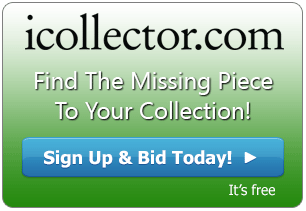 The sheer volume of the offering is sure to stimulate new collectors in this once-in-a-lifetime opportunity. The material is organized roughly around Wilson-Bobrink, the breakthrough reference for miners candlesticks. You’ll find new discoveries, personalized sticks and expanded discussion regarding manufactured sticks. b. Mine Carbide Collectibles. The Collection is so massive that we’ve split it into two parts, with the second part coming in June. The development of the acetylene lamps was a scientific breakthrough for the mining industry. The April sale has many tidbits for the collection, including some large hand held lamps and a sampling of other lamps. The June sale has the majority of the Superintendent style hand/hanging lamps and the cap lamps. The collections of carbide/acetylene devices number in excess of one thousand pieces, all different. c.	Miner’s Safety Lamps. This historic invention created generations of scientific devices used for the all-important gas detection. The Collection has 90 different safety lamps. Most will be offered in June. d.	Miner’s Oil wick lamps, hundreds, all different. A large collection of these coal region lamps, they will be offered in June. f.	Wood Blasting and Candle boxes. 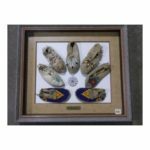 There is a wonderful collection of these very “showy” collectibles. The variety of the collection is excellent, from explosives boxes to cap boxes to candle boxes. The variety in size is notable too, with a number of the smaller 25 pound boxes. There are at least 50- a sizable collection. A few will be in the June sale, but most in April. g.	Blasting cap tin collection. A significant collection that has singles as well as original boxes full. Easily over 100 blasting cap tin boxes. h.	Mine bell signal signs and other mining enamel signs. A Collection you won’t want to forget. This collection has a wide variety of not only western mines, but international mine signs. The individual state mine bell signal signs are the clear highlight. b. Small Nevada Collection. The April sale has some rare Nevada items, with more coming in June. c.	Major Western Whiskey Flask Collection. This collection is slated for June. d.	Great Rarities of Western Whiskies. The April sale offers some outstanding rarities not usually seen at any auction gallery. These are sure to excite the advanced collectors. e.	Colorful antique bottles. It seems we always have submittals of beautiful antique bottles. We’ve got a section in every sale. f.	Leadville, Colorado Collection. A collection of medicines and soda bottles. This one is different – nearly every specimen is dead mint. Watch for the Colorado whiskies coming in June! 3. Postal History and Wells Fargo Express- a large collection of widely varied material. A section we always have, a popular colleting category. b. 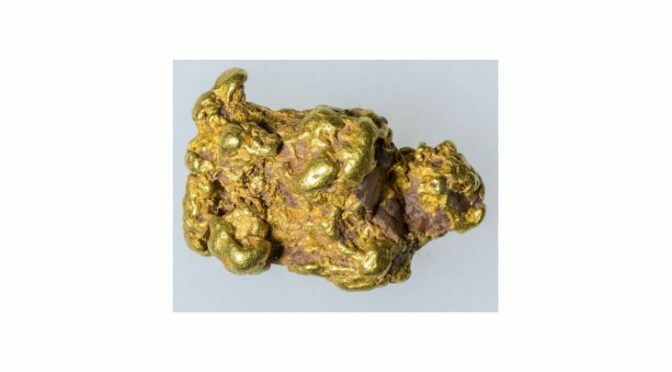 High grade visible gold in ore specimens from major Nevada mining districts such as Austin and Tuscarora. c.	Jewelry and watches. A collection of pocket watches, gold and Native America jewelry. Diamond jewelry too. b. Hot Wheels. Hundreds of cars. c.	Military toy planes, boats, etc. 8. Firearms- More than 100 antique firearms. 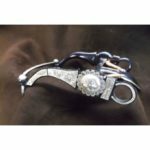 A wide variety of collectible firearms including rarities. 11. Western Research- Key books – a dozen rare western directories, etc. All lots have a full array of photos to assist bidders in making the right bidding choices. Holabird will present a live audio and video feed to give the worldwide audience of bidders a great part in the auction day. Absentee bidding is currently available and registrations are open. 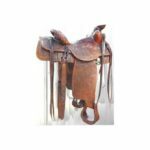 The auctioneer will be happy to answer any questions about the online catalog via telephone or email.